Sandberg speaking at the 2013 Dreamforce conference in San Francisco, California. Facebook has added political scenarios to its bias training program in the wake of the controversy that the site was suppressing conservative news, Sheryl Sandberg announced during an interview with the American Enterprise Institute. In May, several Gizmodo reports alleged that former news “curators” routinely ommitted articles from conservative news sources in the Trending section on the right side of its main News Feed. The story — and distrust of Facebook from conservatives — exploded. CEO Mark Zuckerberg met with top conservatives and the company changed its Trending Topics guidelines. Facebook said that its investigation revealed no evidence of the systematic bias described in the reports but it admitted that some of its curators may have been unintentionally biased. That’s where the new training comes in. Facebook curently requires all of its top leaders and many of its regular employees to go through a bias training that focuses on race, age, gender, and nationality. Now that bias training will also include politics. “As we think about helping people understand different points of view and be open to different points of view, we’re dealing with political bias as well going forward,” Sandberg said. 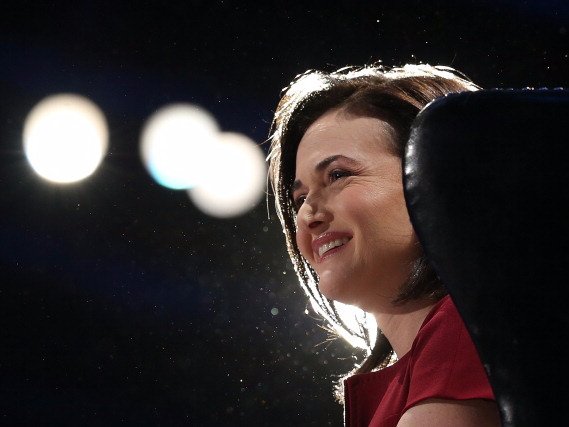 Arther Brooks, president of the conservative thinktank who was interviewing Sandberg, called the move encouraging. The point of bias training is to help employees be aware of and restrict their own unconscious biases. The chief operating officer herself just publicaly endorsed Hilary Clinton for president.